GIGGLING LIKE A MANIAC woooooooooooooooewifbiurebgpiebwekjvgjkidfgfdhthrehjbf!!!!!!!!!!!!!!!!!!! Thing is, The Cure, I've wanted to see them SOO MUCH that now there's a realistic opportunity I don't believe it. It can't be real. It can't possibly! Especially because throughout this year I've already been insanely lucky enough to see Pulp, Morrissey, Maximo Park, Grace Jones and Iggy and The Stooges... AND The Cure play 2 days before I see RHCP (which is outrageously unbelievably enough!) It's too much. How is this true?? 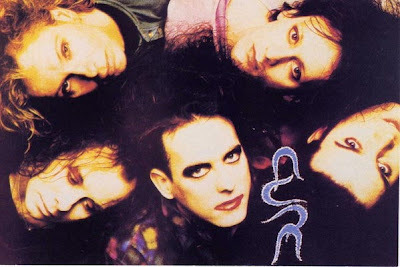 I LOVE The Cure more than words can express. They are everything to me. I think I love music more than anything. There's nothing bad about that and if there are opportunity's to see people that you absolutely adore, why not? I greatly apologize for this outburst, I'm not even sure who I'm aiming this at. This is life and I have to do this. I have to.